Ben Thomas in England colours fights for position.  The event was held in Essex, close to the banks of the Thames Estuary at Hadleigh Farm International, on the newly developed mountain bike course. The track has caused quite a stir in recent months with many riders quite sceptical of how a course in Essex, considered a flat county of the UK, was going to offer sufficient climbing. Further to that with the course builders working with a relatively featureless field, how would it be able to provide sufficient technical features to test the world best mountain bike racers? On the day the course didn’t disappoint, testing riders with huge sustained technical rocky sections combined with repeated steep and loose climbs all squeezed into a 3.5km lap. This gave the course very few places of rest as racers were either heading up a steep climb or down a challenging decent. Practice on the course confirmed this and after months of preparation everything was in place for some close, fast and furious racing. The circuit ensured riders were on the physiological rev limiter and tested to their technical skill limits the whole lap. Hadleigh Farm also provides a perfect venue for spectators too, as the course is set out in a natural amphitheatre giving spectators a full view of the course, further enhancing the atmosphere. Ben and Anthony take on one of the most technical sections of the course. With the Olympics on the horizon the event would offer a one off opportunity for hopefuls from around the world to come and test the course and offer feedback to the organisers before the event in 2012. 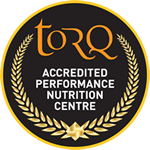 As a result it attracted the world best, with our TORQ domestic riders coming up against full time professional riders including multiple Olympians along with an array of national and world champions alike. Tickets for spectators also sold out with nearly 5000 in attendance, lining the course in its entirety giving a great atmosphere to the event. The event was also under the spotlight of the world media with a great deal of press coverage. At 14:30 on Sunday the race got underway with a short chaotic start loop before heading out to complete 7 laps of the gruelling course. With the high class of competition and starting from the back of the grid the riders were racing to beat the 80% cut off rather than the riders on the front row. Despite this Anthony O’Boyle pulled out a storming result to finish 4th Brit in 30th Place with Ben Thomas a few minutes down in 36th and Sion in 43rd. TORQ Australia rider Dan McConnell an Olympian for Australia was also in attendance finishing an excellent 25th place. Check out blog’s from Sion O’Boyle http://sionoboyle.blogspot.com, Ben Thomas http://benthomas88.blogspot.com/ and TORQ Australia rider Dan McConnell http://dmac05.com/site/ from the event. The next event for the team will be the TORQ 12:12 at Minley Manor. Visit www.gorrick.co.uk for more information or follow them on twitter for up to the minute info as the event approaches www.twitter.com/Gorrick.